Corinthians, First Epistle to the: was written from Ephesus (1 Corinthians 16:8) about the time of the Passover in the third year of the apostle's sojourn there (Acts 19:10; 20:31), and when he had formed the purpose to visit Macedonia, and then return to Corinth (probably A.D. 57). The news which had reached him, however, from Corinth frustrated his plan. He had heard of the abuses and contentions that had arisen among them, first from Apollos (Acts 19:1), and then from a letter they had written him on the subject, and also from some of the "household of Chloe," and from Stephanas and his two friends who had visited him (1 Corinthians 1:11; 16:17). Paul thereupon wrote this letter, for the purpose of checking the factious spirit and correcting the erroneous opinions that had sprung up among them, and remedying the many abuses and disorderly practices that prevailed. Titus and a brother whose name is not given were probably the bearers of the letter (2 Corinthians 2:13; 8:6,16-18). The apostle deals with the subject of the lamentable divisions and party strifes that had arisen among them (1 Corinthians 1:1 - 4:21). He next treats of certain cases of immorality that had become notorious among them. They had apparently set at nought the very first principles of morality (1 Corinthians 5:1 - 6:20). In the third part he discusses various questions of doctrine and of Christian ethics in reply to certain communications they had made to him. He especially rectifies certain flagrant abuses regarding the celebration of the Lord's supper (1 Corinthians 7:1 - 14:40). The concluding part (1 Corinthians 15:1 - 16:24) contains an elaborate defense of the doctrine of the resurrection of the dead, which had been called in question by some among them, followed by some general instructions, intimations, and greetings. This epistle "shows the powerful self-control of the apostle in spite of his physical weakness, his distressed circumstances, his incessant troubles, and his emotional nature. It was written, he tells us, in bitter anguish, 'out of much affliction and pressure of heart...and with streaming eyes' (2 Corinthians 2:4); yet he restrained the expression of his feelings, and wrote with a dignity and holy calm which he thought most calculated to win back his erring children. It gives a vivid picture of the early church...It entirely dissipates the dream that the apostolic church was in an exceptional condition of holiness of life or purity of doctrine." The apostle in this epistle unfolds and applies great principles fitted to guide the church of all ages in dealing with the same and kindred evils in whatever form they may appear. The subscription to this epistle states erroneously in the Authorized Version that it was written at Philippi. 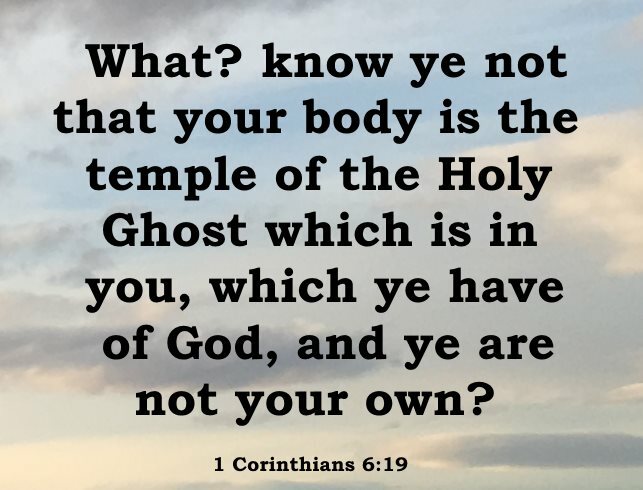 This error arose from a mistranslation of 1 Corinthians 16:5, "For I do pass through Macedonia," which was interpreted as meaning, "I am passing through Macedonia." In 1 Corinthians 16:8 he declares his intention of remaining some time longer in Ephesus. After that, his purpose is to "pass through Macedonia."